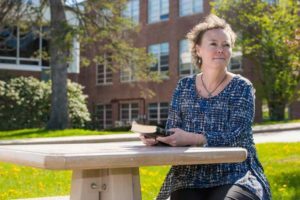 AUGUSTA, Maine — A special education technician at a public high school in Maine has filed a federal complaint against her school district after she was reprimanded for telling a coworker, who is a member of her church, that she would pray for them. At one point, in seeking to provide a word of encouragement after noticing her coworker’s difficulty transitioning to the new job, she told him privately that she would pray for him. During a meeting days later, Richardson told officials that she did not feel comfortable working with the man any longer because of his ongoing “confrontational and aggressive” behavior, which sometimes was displayed in front of students. However, Richardson soon became the focus of questioning during the meeting, as she was asked whether she had told anyone that she was a Christian or made any faith-based statements. When she admitted that she had told the man she would pray for him, Richardson was advised that her actions violated the First Amendment. She soon received a memo reiterating the warning. “An investigation of your concerns indicated that you may have imposed some strong religious/spiritual belief system towards [your coworker]. Stating ‘I will pray for you’ and ‘You were in my prayers’ is not acceptable—even if that other person attends the same church as you,” it read. It warned that any future violations could subject her to disciplinary action or dismissal. Feeling that she must walk on eggshells under the threat of losing her job, Richardson filed a complaint with the Equal Employment Opportunity Commission (EEOC) about the matter. “My comments …. were simple expressions of encouragement that I hoped that he would overcome the challenges he was facing and that he had my spiritual and moral support. Because I am a devoted Christian, I chose to place my sentiments in the context of my faith, and convey them in a private conversation with another adult from my church,” she wrote. “Even though I merely meant to wish [him] well and voiced my hope that the challenges he faced would dissipate, the Augusta School Department admonished me for not expressing these sentiments in purely secular terms,” Richardson explained. She believes—contrary to the assertions of Cony officials—that her speech was not violative of the First Amendment because her remarks were made in private to another adult and not to students. Richardson also takes issue with the memo’s assertion that she “imposed” her religious beliefs on her coworker, since he is a member of her church and is himself a professing Christian. “Verbally reprimanding and ordering a school employee to refrain, during a private conversation, from telling a colleague who attends my same church that I am praying for him is an unlawful employment practice,” she states in her complaint. Richardson is now being represented by the Texas-based First Liberty Institute.